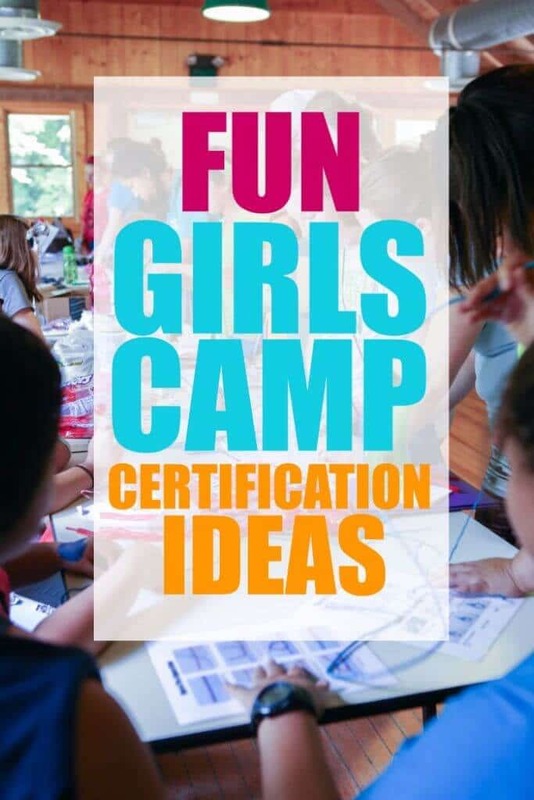 Tons of fun ideas for girls camp certification that’ll have the girls loving certification time rather than dreading it! Yesterday I shared more details about how we ran our certification fair for girls camp last year. 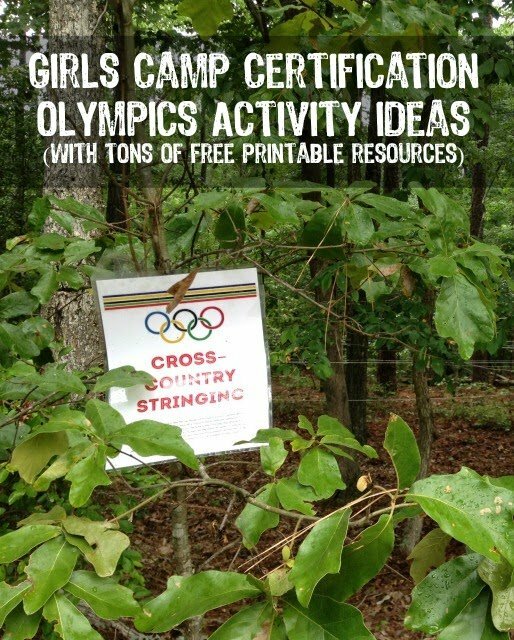 Now, I’m going to share the different activities we did for each of the girls camp certification requirements we covered along with links to printables and instructions for all the different booths. Please leave a comment or email me if you have any specific questions about how we put everything together. Just to warn you, we didn’t cover all certification during our activity. We did separate activities for first aid and a couple of other things. We also split our girls into two and had one half playing some of these fun camping games while the others did certification! I’ve included a basic description of each activity below along with a link to download full instructions and all the materials (e.g., printables) you’ll need for the activity. You can also get certification cards (for the girls to fill out as they pass things off) here! Each of the girls will be sent out on a trash hunt where they will be looking for pictures of particular types of trash in the wooded area near your station. The types of trash on their hunt will be things that teach them about sanitation such as a recyclable item, something that is biodegradable, something that can be burned in a fire, etc. Each of the girls will go out with a trash hunt card and a pen/marker to fill out their cards. 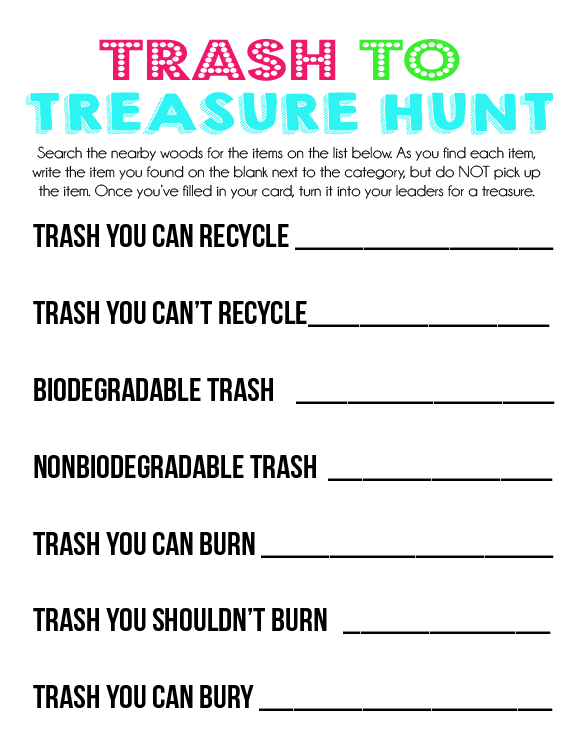 When they return with their trash hunt card completed, they can trade their trash for treasure – a piece of candy and a certification stamp in their passport. Girls are taught principles for building fires using candy. Full instructions and details here. Girls are taught the basic items that go in a first aid kit and have the chance to roll dice in a fun game to put them together. Full instructions and details here. Teams study plants and animals and then play pictionary against each other to see who can identify them the quickest. Click to download instructions and pictionary cards. 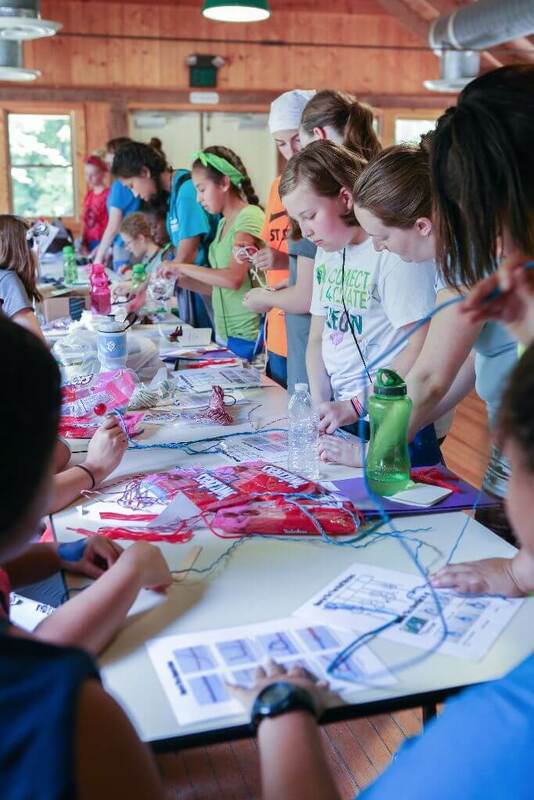 Girls learn about different types of knots and their uses and then learn how to tie them using Twizzler Pull N Peels. Girls first learn about cloud formations then take turns spinning a wheel with spaces like “act it out, trivia, etc.” that require them to prove their knowledge about clouds to earn their stamp. Girls learn about different ways to signal for help then participate in relays to dig through bucket of items to find things they could use to signal for help. 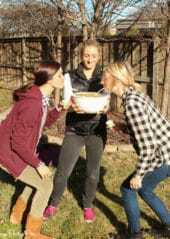 Teams learn about good nutrition then have to dig through a bucket of sand to find plastic food items to create a well balanced meal. See full instructions here. Building Fires – Candy Fire Building – Full instructions and details here. Girls sent on a scavenger hunt using compasses and are required to find letters to a password in the correct order (so they can’t just go around to any letters they see). Constellations – Girls build constellations out of candy, full instructions here. Girls play team charades to learn and and act out different types of clouds and their coordinating severe weather results. 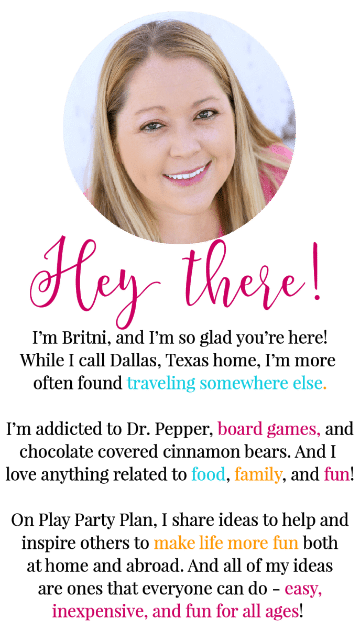 Don’t forget to check out all of the fun ideas from my past year’s certification Olympics as well! Do you have any ideas for extinguishing a fire? This is amazing! What did you do for first aid? We did a first aid hike Marisa where our YCLs dressed up like victims and the younger girls had to walk around, diagnose the victims, and tell their leader how to treat the victim. Um… THANK YOU!!! 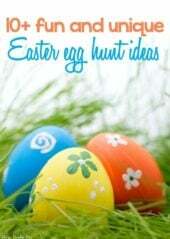 All of these ideas are fabulous. And you made it so easy for me. I almost feel like I am cheating, because you took all the work out for me!! Thanks a ton! This is awesome! 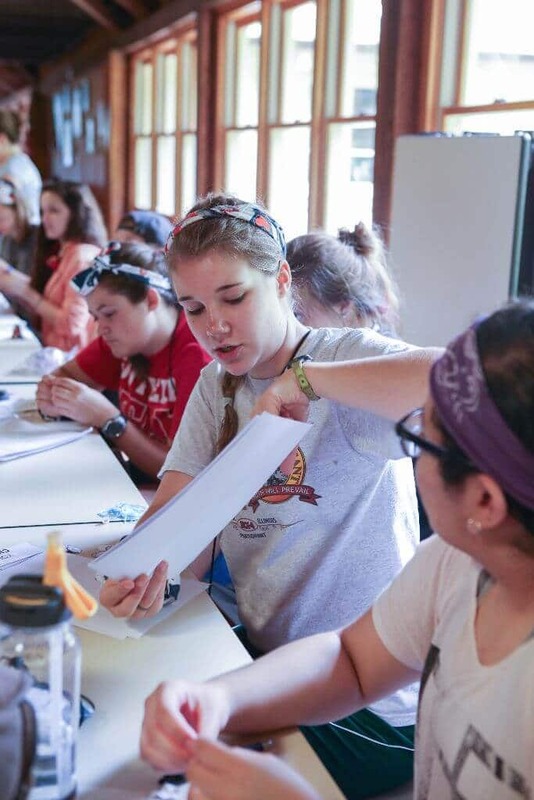 Thanks for sharing–I’m going to be using a lot of these ideas for camp this year. Yay, hope the girls love them! I’m stumpt do you have any fun ideas 4 extinguishing fires and also emergency shelter? 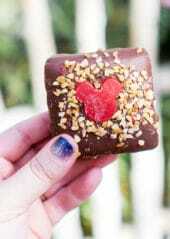 These where amazing! Not off the top of my head Nicole but if I come up with any ideas, I’ll let you know!